If you are looking for comfortable and affordable accommodation in the heart of the medieval town of Arundel, then you are most welcome to stay with us. 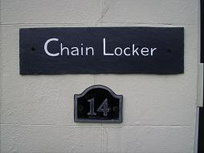 Chain Locker is a fisherman’s cottage, ideally situated, facing the River Arun and just a few steps away from the town centre with the visitors entrance to Arundel Castle, riverside cafes, restaurants, inns, quaint independent shops, antique centres and heated open air swimming Lido. Arundel Station is just a 12 minute walk with direct line to Gatwick and London. Arundel is also ideally placed if you are walking the South Downs. We offer one small but comfortable double bedded room on the ground floor with adjacent private bathroom. TV, Wi Fi and tea/coffee making facilities .Our personal accommodation is upstairs on the first floor, making the ground floor solely for your use and you are most welcome to come and go as you please. Sorry we cannot offer breakfast but cafes are very close by and reasonably priced. Our rate for accommodation only is £45 per night two persons in the double room. We regret that we cannot offer parking but there is a public car park directly behind Chain Locker and others a few minutes away. Parking is free between the hours of 18.00 and 08.00. Please note that we do not have card facilities. Another excellent stay with Jo and Ron. We have stayed at Chain Locker for over 8 years and always receive a warm welcome. 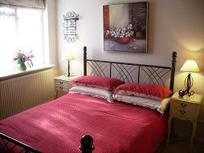 If you are looking for affordable, friendly and comfortable accommodation in the heart of Arundel look no further. For us it’s home from home and we always look forward to our next visit. My girlfriend and I have stayed at Chainlocker a few times now and it never disappoints. The location is brilliant with everything right on your doorstep and the accommodation is comfortable and private with loads of character. Jo and Ron are great hosts and always make us feel extremely welcome. I would definitely recommend Chainlocker for extremely convenient and affordable accommodation in Arundel!